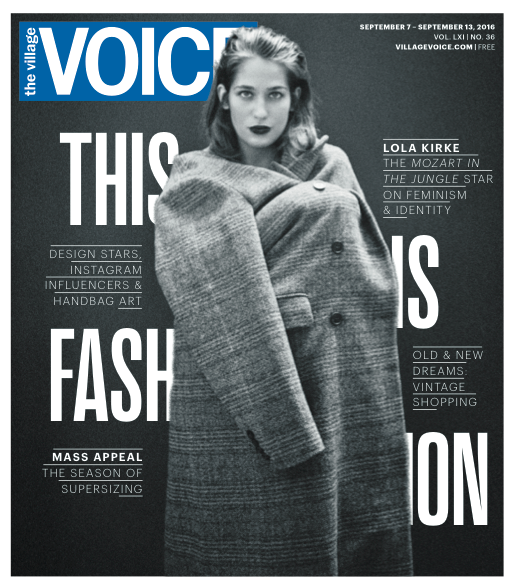 “Mozart in the Jungle” star Lola Kirke is gracing the cover of the Village Voice’s first fashion issue in 60 years! The issue, edited by style journalist Andrea Linett, includes a candid interview with Lola about art-world identity and feminism, as well as a look at the upcoming fashion season, a guided vintage-shopping tour and more. In the interview, Lola, whose sister Jemima stars in “Girls,” talks about feminism and television. Read the rest of her interview here, and be sure to check out all of the Village Voice fashion coverage here.